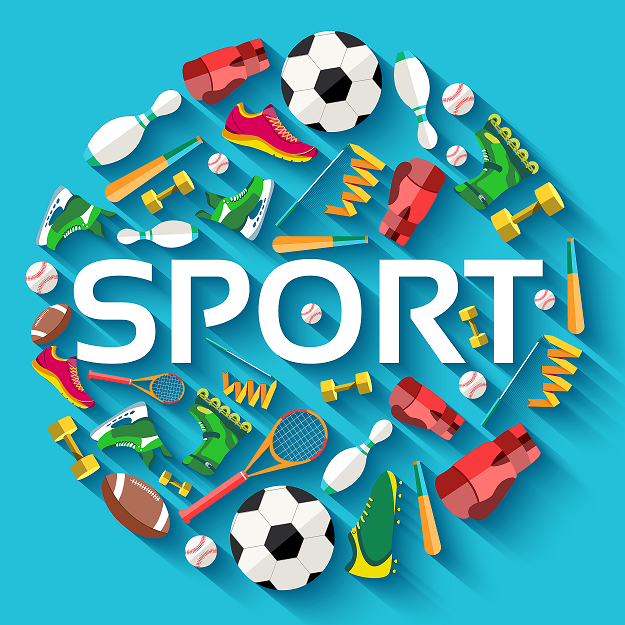 Sport has a very important place in Romania, especially football. 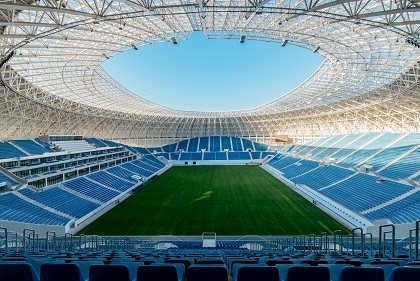 ArcelorMittal Tubular Products Europe recently contributed to the construction of two stadiums in the country: the Craiova stadium, inaugurated in November 2017 and the Targu-Jiu stadium which will open this year. 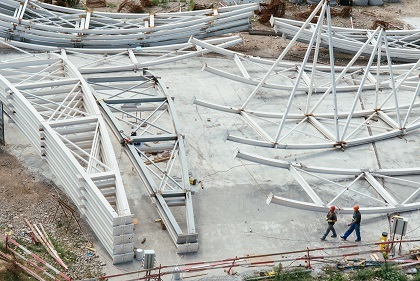 Steel produced in Romania was used for both projects with Hollow Structural Sections (HSS), produced in Iasi. Two football stadiums were recently built with ArcelorMittal steel, in Craiova and in Targu-Jiu. 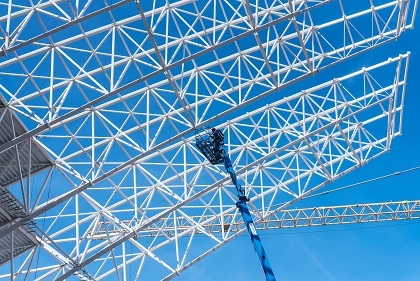 For both projects, ArcelorMittal Tubular Products Europe supplied HSS (in EN 10219 standard) to KonigFrankstahl, which were used to build the tribunes and the structure of each stadium. The HSS were produced by ArcelorMittal Tubular Products Iasi, part of ArcelorMittal Tubular Products Europe. The sections were produced through the Electric Resistance Welding process, which consists of forming a tube with a steel strip by heating the edges and forming them together. The name of the process comes from the heat necessary for welding that is generated by electric currents passed through the steel strip prior to the weld being forged. construction companies CON-A (general contractor of these two projects) which demands serious and punctual deliveries to be able to fulfill project deadlines. KonigFrankstahl received the HSS based on CON-A’s specifications in full bundles from ArcelorMittal Tubular Products Iasi to its warehouses in Bucharest and Sibiu and was able to deliver the material in the exact quantities, even cut pieces, to the different requested locations. Moreover, the collaboration with ArcelorMittal Tubular Products Iasi was very good due to the high support provided from production to logistics despite the high pressure regarding deliveries. The Craiova stadium located in the city of Craiova, has a capacity of 30,000 seats and replaces the former Ion Oblemenco Stadium built in 1967. The new stadium was designed by the architects Dico and Tiganas architecture and engineering who took inspiration from the work of art “Mademoiselle Pogany”, carved by Romanian sculptor Constantin Brancusi. The iconic building is a modern touch that will boost the development of the local area. 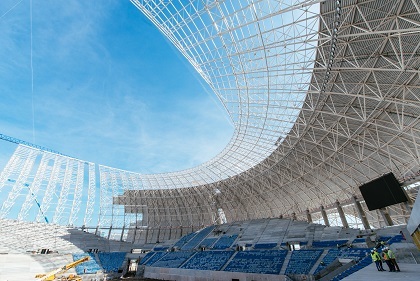 The building envelope has an elliptical shape, it protects the spectator seating area against adverse weather conditions while ensuring that the natural light hits the pitch and closes the secondary spaces under the stands. The volume of the bowl is enhanced thanks to the semi-open roof and the structural "ribs" wrapped with transparent and translucent materials. 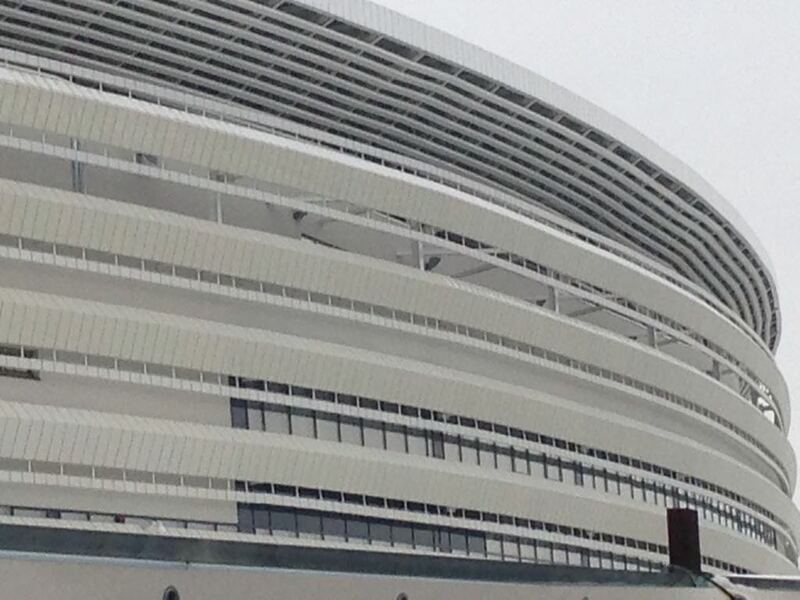 Work at the new stadium in Targu-Jiu (in the south of Romania) is nearing completion; the tribune roofs are partially mounted, as well as the two scoreboards. The project involves the reconstruction of the Targu-Jiu Stadium to make it more modern and in line with the UEFA standards. Once completed, the stadium – which should be officially named Pandurii Arena - will have 12,500 seats and will also include an underground car park and a 40-room hotel. In the near future the area around the stadium will enter into a modernization process. Contractors: CON-A S.R.L, ACI CLUJ S.A. and NISAL S.R.L. Contractors: ACI CLUJ S.A and CON-A S.R.L.